Monique, your team were fabulous… what a scream. Extremely talented and great people. Thank you so much for just making the night run so perfectly! so professional and you proved to me you can just Make It Work! Thanks Monique, it was a great night and all feedback from our guests have all been positive. Some saying it was the best dinner they have attended! – couldn’t have done it without you! We can’t not rate these guys enough!! Brilliant, entertaining, BLOODY MARVELOUS!!! Everyone is still speaking about them. Thanks again for all your help. “The event was a huge success. The Disco Funk 70’s Show was very professional. The WOT team were very helpful during the process of sourcing and booking the entertainment. We had an absolute blast at the Murder Mystery Party by Way Out Theatreworks. The staff all thought it was fantastic & your actors were just incredible. They did a really good job of holding everything together & keeping us on track! Tropical Night an outstanding success! Don’t change anything. It works!! Now the pressure is on to top it next year! The Golden Years of Hollywood Show exceeded all expectations. The Acts kept the audience engaged until a standing ovation at the end. Thank you for the perfect end to our Conference. as part of the ABCB Building Australia’s Future Conference. but at the same time, a whole lot of fun! our Corporate Dinner was just wonderful with fantastic entertainment. Again, we received the comment that it was the best Central Council we had ever had! It is great to work with you and the team Monique! Thanks for your recommendation of the Mobsters show to fit with our themed event. The evening came together perfectly with the group enjoying a night of good interactive fun. through to confirmation and then the pre-event follow-up. I honestly can’t think of anything I can suggest to improve your service! “Monique – once again your acts were superb. recommendations were exactly what I was after and blew everyone away. his mannerisms and American accent were spot on and he was very personable. The entertainer impersonating Britney Spears and Madonna was a big hit. The Elton John impersonator looked and sounded just like Elton! Elizabeth Gordon. Altis Consulting Pty Ltd.
“With regards to the actors, they were fantastic and extremely talented! entire run sheet without having to chase up on them all the time. t looks like a Trivia Night will be a definite event for each Queensland conference. Greg Sullivan. Kennards Hire Pty Ltd.
– and not have to stress about! WOT were very professional and easy to work with. They provided exactly what we needed for our event. responding and you eased my nerves at the last minute! working with you at future events. Jo Vesic Development Coordinator QLD/NT. corporate function our business events”. and the ease at which it all happens”. “We would like to thank Monique for your assistance with our recent product launch…..
delegates will not forget. Thank you for providing actors, direction and a fantastic script. 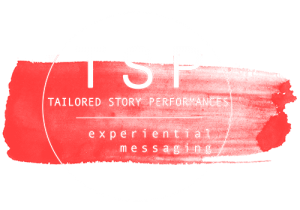 “The script was well written and definitely enhanced our product and overall events. The actors at each location performed very well and were flexible/easy going. The actors in Sydney were exceptional with a very lively and entertaining performance. 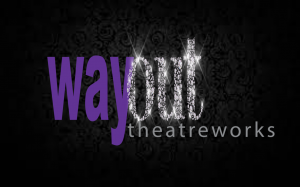 way out theatreworks to others”. “The Queensland Annual State Conference 2007 has been hailed as our best yet! t set the stage, warmed the audience up and was performed exceptionally well. “Thank you for putting together our ‘Opening Act’ for our roadshow event in May 2005. We found the opening act a very unique way to set the scene for the workshops. message across. The actors were great and hit the nail on the head. adaptable, enthusiastic and most importantly very entertaining. The room theming just added to the wonderful atmosphere that was created. flexibility and extra efforts with the pre-event organising – this was just super.